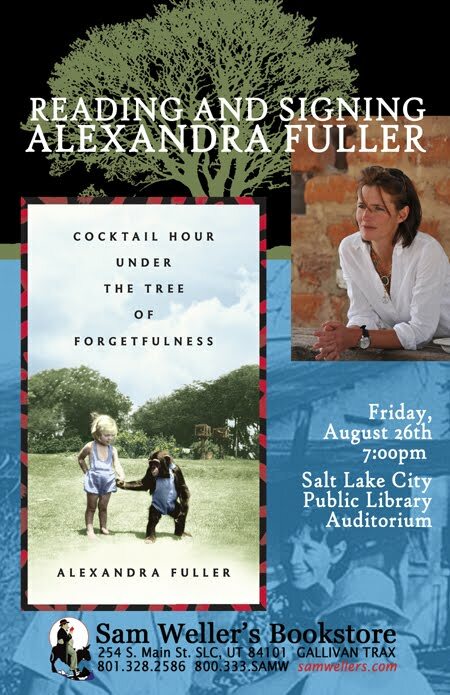 This Friday, August 26th, we will have the pleasure of hosting Alexandra Fuller for a reading from her brand new memoir, Cocktail Hour Under the Tree of Forgetfulness. I remember reading her first memoir, Don't Let's Go to the Dogs Tonight, which looks on her childhood in Southern Rhodesia/Zimbabwe. It was an absolute delight, and it is still one of my favorite go-to reading recommendations. Cocktail Hour Under the Tree of Forgetfulness is both a prequel and a sequel, continuing Alexandra's own story, but its main focus is on her mother, Nicola Fuller. I haven't finished it yet, but Catherine has—read her review in the current issue of BookTalk, Sam Weller's newsletter. We hope you join us at the Salt Lake City Public Library at 7:00 PM for this wonderful reading and signing. The Ask is a real treasure: with Larry David-esque timing, the pathos of a recovering sports fan, and a fire-breather's flair for language, Lipsyte writes like most of his contemporaries only dream of. His prose is alive and well. He is as funny as Gary Shteyngart, as sad as Woody Allen at his most comfortless, and his ribald wit rivals comic Louis C.K.'s. In The Ask, Lipsyte writes about Milo Burke, a down-and-out full time dad who may just have a second whack at his old job. Burke has to contend with his old college roommate, Stuart Purdy, a real schmuck who snuck up on the dot com craze with a few crazy plans of his own, and is still collecting from that. Purdy wants Milo to do an Ask for him: "An Ask could be a person , or what we wanted from that person. If they gave it to us, that was a give." Purdy enlists Milo to do one last job, think 007 without all the sword play. Burke is entering a world of hell, and it'd only be wise to join him. Brandon Sanderson is the energizer bunny of authors. He just keeps going and going and going. In addition to completing Robert Jordan's Wheel of Time series, Brandon is still working on a number of his own projects. 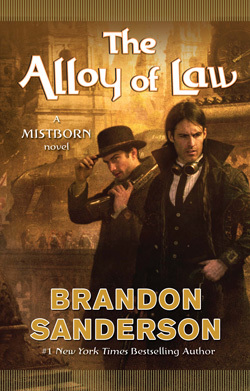 His newest book is a Mistborn novel and will be published November 8, 2011. It's called Alloy of Law. 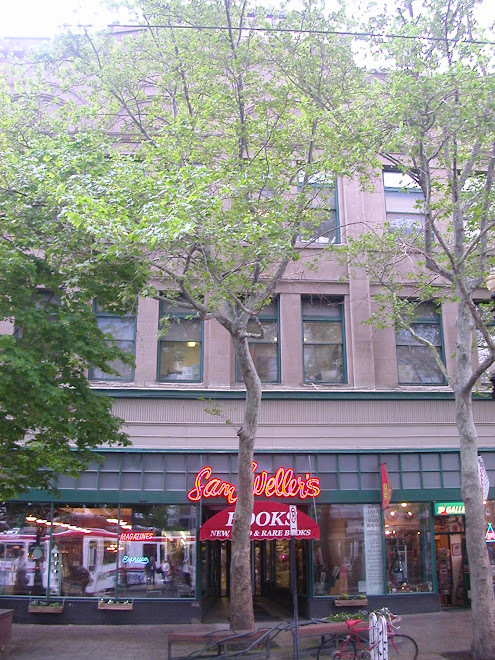 For the past several years Wellers has been pleased to work with Sanderson offering signed and numbered copies of his releasing books to his legions of fans. I'm happy to write that Alloy of Law will be no exception. Pre-publication sales for signed and numbered copies begin today. The details of the process are much as they have been in the past. Those of you who have ordered signed and numbered copies from us before may want to just give us a call or email books@samwellers.com. Those who are still interested keep reading. For this promotion, Wellers will discount the cover price 20%, bringing the cost down to $19.99 plus shipping and handling via USPS Priority Mail. We will give you the total cost when you place your order. All orders must be pre-paid via credit card or Paypal. If you're paying by credit card, please call or email us. Those who are using Paypal should email books@samwellers.com. You may purchase up to three copies of Alloy of Law. Numbering is split with the BYU Bookstore, where Brandon celebrates his book releases. The numbers all ocated to Wellers are assigned on first come, first served basis. The sooner you order your book and pay for it, the lower your number. Since we'll be in the midst of relocating our store during the processing and shipping period, we will not offer other copies of Brandon's books. (As you can see from the photo on the left, there's a bit to do.) We will ship the books to arrive on the release date or as close to it as possible. This promotion is limited to 500 copies of Alloy of Law. Additionally, orders must be placed by October 14, 2011. We turn away a few unhappy customers each year, which is sad for us too. Once they're gone, they're gone so don't delay! You can read all about Alloy of Law on TOR's site or on Brandon's blog.